Theoretical physicists studying the behavior of ultra-cold atoms have discovered a new source of friction, dispensing with a century-old paradox in the process. Their prediction, which experimenters may soon try to verify, was reported recently in Physical Review Letters (link is external). The friction afflicts certain arrangements of atoms in a Bose-Einstein Condensate (BEC), a quantum state of matter in which the atoms behave in lockstep. In this state, well-tuned magnetic fields can cause the atoms to attract one another and even bunch together, forming a single composite particle known as a soliton. Solitons appear in many areas of physics and are exceptionally stable. They can travel freely, without losing energy or dispersing, allowing theorists to treat them like everyday, non-quantum objects. Solitons composed of photons—rather than atoms—are even used for communication over optical fibers. Efimkin, along with JQI Fellow Victor Galitski and Johannes Hofmann, a physicist at the University of Cambridge, sought to answer a basic question about soliton BECs: Does an idealized model of a soliton have any intrinsic friction? Prior studies seemed to say no. Friction arising from billiard-ball-like collisions between a soliton and stray quantum particles was a possibility, but the mathematics prohibited it. For a long time, then, theorists believed that the soliton moved through its cloudy quantum surroundings essentially untouched. What's Inside a Black Hole? But those prior studies did not give the problem a full quantum consideration, Hofmann says. “The new work sets up a rigorous quantum-mechanical treatment of the system,” he says, adding that this theoretical approach is what revealed the new frictional force. It’s friction that is familiar from a very different branch of physics. When a charged particle, such as an electron, is accelerated, it emits radiation. A long-known consequence is that the electron will experience a friction force as it is accelerated, caused by the recoil from the radiation it releases. Instead of being proportional to the speed of the electron, as is friction like air resistance, this force instead depends on the jerk—the rate at which the electron’s acceleration is changing. Intriguingly, this is the same frictional force that appears in the quantum treatment of the soliton, with the soliton’s absorption and emission of quantum quasiparticles replacing the electron’s emission of radiation. At the heart of this frictional force, however, lurks a problem. Including it in the equations describing the soliton’s motion—or an accelerated electron’s—reveals that the motion in the present depends on events in the future, a result that inverts the standard concept of causality. It’s a situation that has puzzled physicists for decades. The team tracked down the origin of these time-bending predictions and dispensed with the paradox. The problem arises from a step in the calculation that assumes the friction force only depends on the current state of the soliton. If, instead, it also depends on the soliton’s past trajectory, the paradox disappears. Including this dependence on the soliton’s history leads to nearly the same equations governing its motion, and those equations still include the new friction. It’s as if the quantum background retains a memory of the soliton’s path. Hofmann says that BECs provide a pristine system to search for the friction. Experimenters can apply lasers that set the atomic soliton in motion, much like a marble rolling around a bowl—although the bowl is tightly squeezed in one dimension. Observing the frequency and amplitude of this motion, as well as how it changes over time, could reveal the friction’s signature. 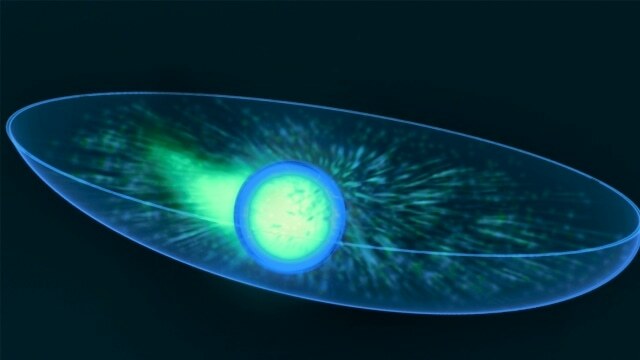 “Using some typical experimental parameters, we think that the magnitude of this force is large enough to be observable in current experiments,” Hofmann says. This product profile discusses using indium deposition for superconducting interconnects. What is Superconducting Qubit Characterization?